All Inclusive MB Fees: At Camp Saffran, there are no additional fees for merit badge programs. Outside programs brought to camp; such as Discover Scuba and adult leader training are the only exceptions. ConEc: Go “Green” and learn fascinating facts about animals, plants, the ecosystem, the weather and the stars while hiking, exploring Broad Creek, or relaxing with our nature trail and pond. Eagle Summit: A great opportunity for Scouts who need to do one or more merit badges required for rank advancement. Handicraft: Explore your talents by working with leather, wood, reeds, or other art supplies. Weave a basket, carve a neckerchief slide, or try your hand at model design. Trade Skills: do you find working on mechanical equipment or completing projects around your home interesting? We are expanding our Skilled Trades programs at Broad Creek due to an initiative with Black and Decker. Scoutcraft: Develop traditional Scouting skills, such as fire-building, knots and lashings, orienteering, wilderness survival, dutch oven cooking, and put them to the test! Shooting Sports: Learn and practice Archery, .22 Rifle Shooting, and Shotgun shooting. Keep an eye on our website for updates! Aquatics: Both a pool and waterfront offer swimming, sailing, rowing, canoeing, kayaking, water sports, and motor boating. You can also earn your Polar Bear or Mile Swim Award. Project Thunder Herons: Camp Saffran’s First Year Camper program is second to none and one of the most highly evaluated programs in camp among leaders and Scouts. Designed for Scouts on their first year in Scouting, this week-long program helps skills and advancement toward First Class rank. Project Thunder Herons is Broad Creek’s traditional First Year Camper/ Young Boy program with a new twist! Our Thunder Heron staff members will guide scouts who are new to the Boy Scouting program through a fun week that demonstrates what it truly means to be a scout. 4. Provide Scouts an opportunity for advancement once all other goals are met. While our Thunder Herons staff will provide an outline for the week that meets these goals, the program will be flexible and cater to the needs of the scouts in attendance. A returning featured highlight of this program will be the Project Thunder Herons Overnight. Early in your stay at camp, the Thunder Herons staff will invite the boys to trek out with them to sleep under the stars. This provides the young scouts with a chance to enjoy each other’s company while putting their skills to the test in a unique program setting. Scouts should be prepared by bringing their own tarp or tent. Additionally, another returning program highlight will be Swimming Merit Badge. Scouts participating in this program will have the opportunity to earn this Eagle required merit badge once they pass their BSA Swimmers Test. While it is not a guarantee that the scouts will complete the merit badge, Thunder Herons staff will instruct them in all skills necessary and help the scouts work towards meeting those requirements. The scouts will also have the opportunity to earn Leatherworking Merit Badge, so the scouts should bring two blue cards with them. If your scouts are ready for a strong, booming start to their scouting trail, make sure to sign them up for Broad Creek’s exclusive Project Thunder Herons! STEM at Broad Creek: With the success of our STEM at Spencer program, we are bringing the experience over to Camp Saffran for the entire summer! Join our non-traditional camp program working on STEM merit badges and team-building experiences. See the next page for more information! This is a NON-traditional Scout experience where Scouts are encouraged to bring computers and cell phones for activities. Our STEM program offers a science equivalent of COPE with Scientific Enabling Team Experience known as SETE. SETE is a team-oriented course composed of scientific high adventure activities for individuals. For two summers, we have had a successful, two-week STEM program that has gained great reviews. Being one of the first camp programs of its kind, Broad Creek designed a program that joined together the excitement of STEM and the tradition of the resident camp to create a unique program that drew campers of a different breed. These scouts dove in and gained a unique hands-on STEM experience while problem-solving in the SETE Treks and working on exciting merit badges like Animation, Moviemaking, Game Design, and Robotics. Due to that accomplishment, Broad Creek will be expanding that STEM program to five weeks and hosting the program at Camp Saffran in order to offer this amazing experience to more Scouts for Summer 2018. These Scouts must be 13 years or older. By joining our STEM staff, the Scouts will have the opportunity to earn some of our most exciting STEM merit badges. The afternoon SETE trek that focuses on STEM Engineering Exercises. The SETE treks will take Scouts through topics such as microprocessors, medical technology, drone flying, and 3-D printing. 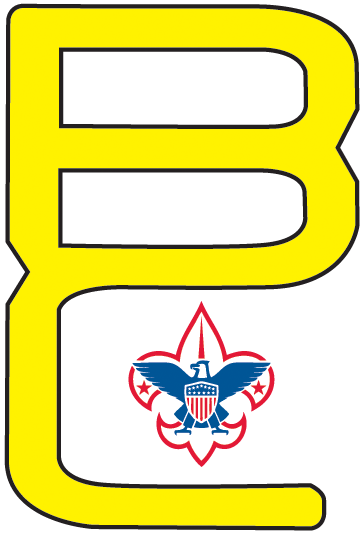 Check out www.broadcreekbsa.org/saffran for a list of merit badge offerings! If you are a Scout who is ready for more, don’t miss out on this exciting program as Scouts experience an exceptional, one-of-a-kind STEM summer camp program! Order of the Hemlock: Camp Saffran’s Older Boy Program is being reintroduced in 2018. Experience your summer camp adventure with other Scouts over the age of 14 in this week long program. In this all-day program, scouts who accept the challenge will explore the many facets that Broad Creek has to offer. On their first day, the scouts will be put to the test to see if they have what it takes through some of our initiative activities. Scouts who choose to stay will participate in several on-site and off-site treks throughout the week. The treks themselves will play on the strengths of our staff as well as the interests of the scouts participating. Possible outings will include ATVs, black powder rifle, river tubing, rock climbing and mountain biking all on a Scout Vs Wild-style journey. At least one evening will involve an overnight where scouts will sleep outside in a wilderness survival outpost while enjoying themselves with low adventure activities including a Dutch oven feast. Participating scouts will specifically need a sturdy pair of hiking shoes, long pants, a long sleeve shirt, an overnight pack, and a sense of adventure. Does your older boy have what it takes to be a member of the Order of the Hemlocks? Summer 2019 is the time to find out!